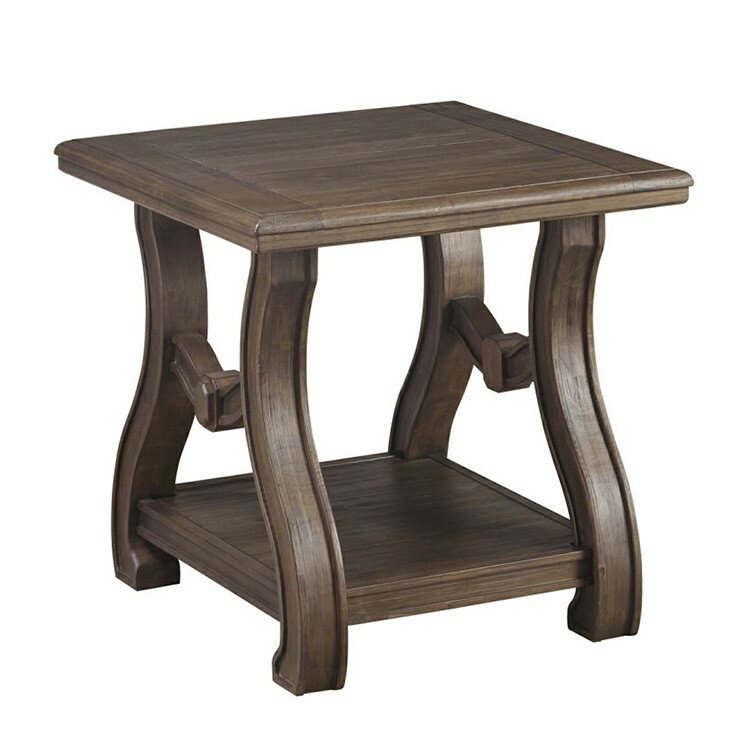 This Liberty 383 OT1020 Ballentine Rectangular End Table from Carolina Furniture is made from select hardwoods and figured cherry/mapa burl veneer. The end table features one drawer that is fully stained and has felt lining. The bottom portion of the table offers a single shelf for placing magazines, books, or decor. The table has glazed patina hardware to offer style and the table sits on tapered legs.